Registrations open for KA1 Training and Vet partners: book your visit, we will welcome you in Sicily! Are you a VET School, a Foundation, a University or a Consortium willing to implement an Erasmus+ KA1 project in Sicily? If your answer is YES, you might be interested in getting to know our Organisation. You may wonder what services you can get, where exactly are we located, how many years of experience we have and so on… Well, you can find all the information on our website, and if you are still missing some information, you can write us an email. But that’s not all! get all the information related to the implementation of an Erasmus+ KA1 project. We strongly believe in genuine long-term partnerships, that is why we put efforts on meeting our future partners in person with a focus on creating a succeeding relationship and most effective results. As part of our culture we like to give our service an individualized touch to guarantee satisfaction, reliability and strong understanding! 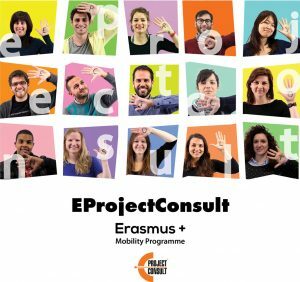 If you are interested in meeting us in view of a future cooperation in the frame of the Erasmus+ programme you can fill in the registration form describing your needs and expectations (also indicating the date you would be available to visit us). We will analyse and consider your profile and write you back with a personalized offer based on your requests. Only after our confirmation you can book your travel tickets, and we will cover food and accommodation’ costs for your stay in Sicily for one person.